This entry was posted on Wednesday, June 2nd, 2010 at 9:15 am and is filed under Backpacking. You can follow any responses to this entry through the RSS 2.0 feed. You can leave a response, or trackback from your own site. 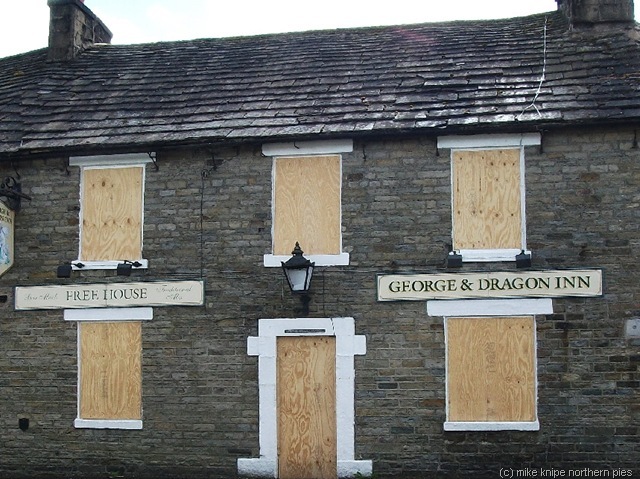 7 Responses to Save the George & Dragon in Garrigill! It’s not an area I’m ever in but, from your description, it sounds like a place worth saving so I’ve signed the petition. Petition signed – though I’ve never visited this pub I really hate to see good walkers’ pubs closing. Thanks, peeps. Having looked a little closer, I see that it’s been closed for a while, now. What a shame. Have signed also but wonder if the petition is still active as our names do not appear on it. It would be a crying shame to lose this little gem. I think it prolly just takes a little time for new names to come up, Alan. I remember something similar with another petition I signed earlier in the year. Thanks for linking to our petition. It is active, we just filter signatures due to people spamming it. There is a fully active campaign to get the pub open again, whether that is someone leasing or buying the pub, community buyout, we are just not sure yet. So, wish us luck!